A lot of Google products have "fallen off of a truck" in the last couple of years, leading to leaks ahead of official announcements. 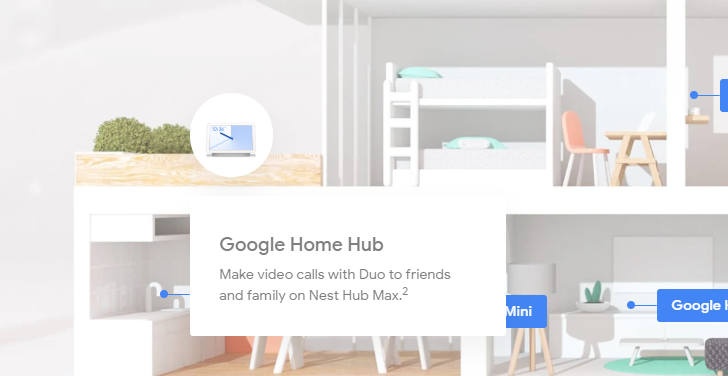 This time, Google seems to have leaked its own unannounced product: the Nest Hub Max. 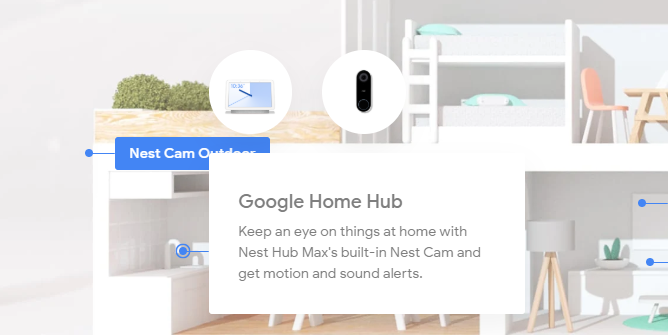 The Google Store's connected home page has been updated with a description of this new smart display, which features a Nest camera and 10-inch HD screen. The details about the Nest Hub Max are all contained within the smart home diagram near the top of the page. When you click the "Home Hub" in each of the tabs, it actually gives you info about the "Nest Hub Max." The popups list some headlining features, but there are no accompanying images. According to the Store, The Nest Hub Max will have a 10-inch HD screen, much larger than the regular Home Hub. It also has a built-in Nest camera with all the standard surveillance capabilities of the standalone device. You can use the camera to make Duo calls, too. The current Home Hub doesn't have a camera, so it's audio-only for Duo. The small Home Hub has a mediocre speaker, but Google promises stereo speakers on the Nest Hub Max. There's nothing about price or release date on the page. We've reached out to Google and Nest and will update if we hear back.